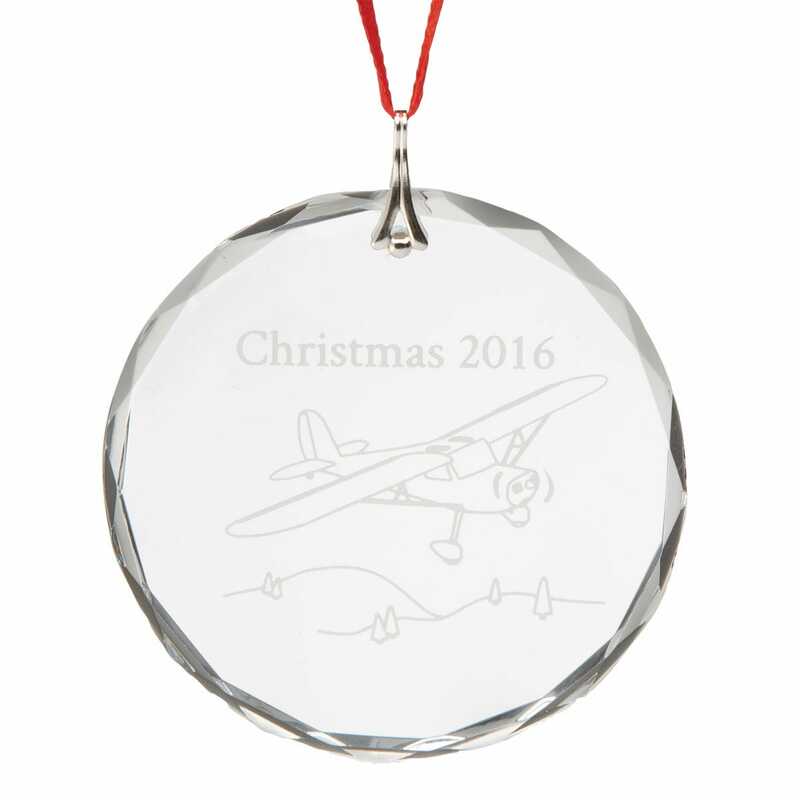 Elegantly Etched Sporty's® Crystal Christmas Ornament is an annual tradition for pilots, flight schools, FBOs, and aviation enthusiasts. 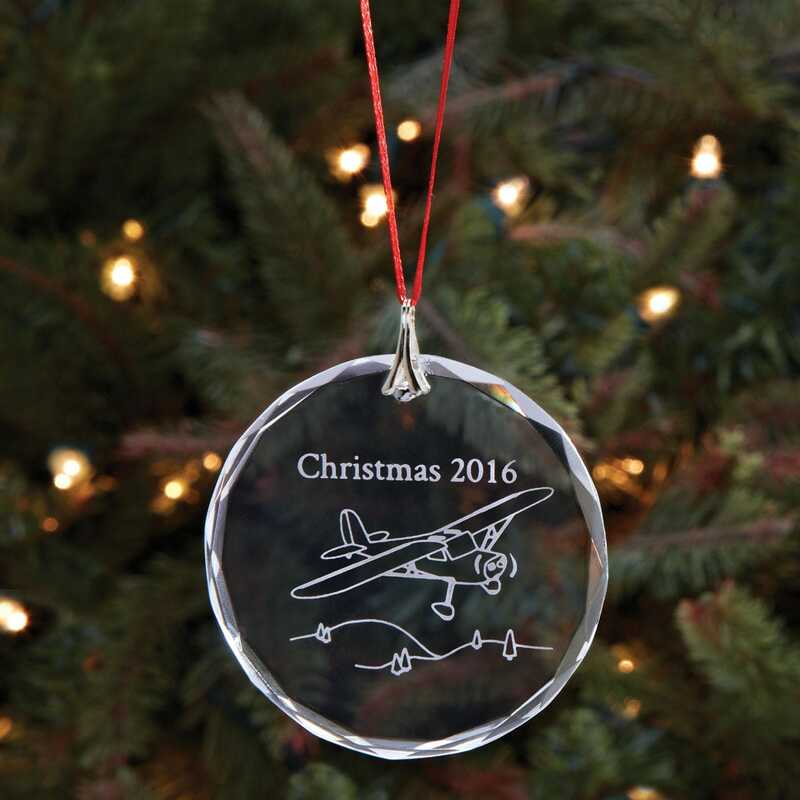 The 2016 Ornament featured the Cessna 140. Introduced in 1946, this little tailwheel aircraft boosted Cessna’s transition to a post-war economy. With a 1946 list price of $2995, more than 7500 Cessna 140s (along with the Cessna 120) were manufactured. Although production on the Cessna 140 stopped in 1951, the airplane is still romancing pilots who simply believe there is no better airplane. This custom-etched Ornament includes a bright red ribbon for hanging and is boxed for gift giving. Just wanted to say that the Christmas ornament was a big hit!!! Looking forward to next years!!! Great collectable ornament, especially for us C140 owners! It's cute an okay IF you have a type of aircraft that looks sorta like this,,,,,,,its its just a reminder to remember! 17 years in a Row ! Ordered for my son who started flying at age 15. I have purchased this ornament every year since....it's become a tradition. It's a lovely addition to the tree ! Nice to start collection with the flight school mainstay. Wish I could get prior years' ornaments! I started this collection years ago for my son. After receiving his private at the end of his high school year, he continued on and has been flying for a regional carrier for 9 years. He still looks forward every Christmas to receive this beautiful Christmas ornament. A cherished gift. Every year I fly I've purchased a Sporty's Christmas Crystal Ornament. It gives me pride on what I've accomplished at a glance. The Crystal Ornament have sheer beauty and quality. They exemplify the beauty of excellerating down the runway and pulling back on the yoke. Wow!, what a beauty,perfect take off perfect Crystal. Do you sale an ornament of a Piper low wing plane such as a Cherokee? BEST ANSWER: Yes we have a custom ornament that has a low wing aircraft. The time number is 2015A. Where can I buy past years?